In 2010, a group of environmentalists and geologists discovered that the underground river has a second floor, which means that there are small waterfalls inside the cave. They also found a huge cave dome, measuring 300 meters above the underground river, incredible rock formations, large bats, a deep water hole in the river, more river channels, another deep cave, marine creatures, and more. 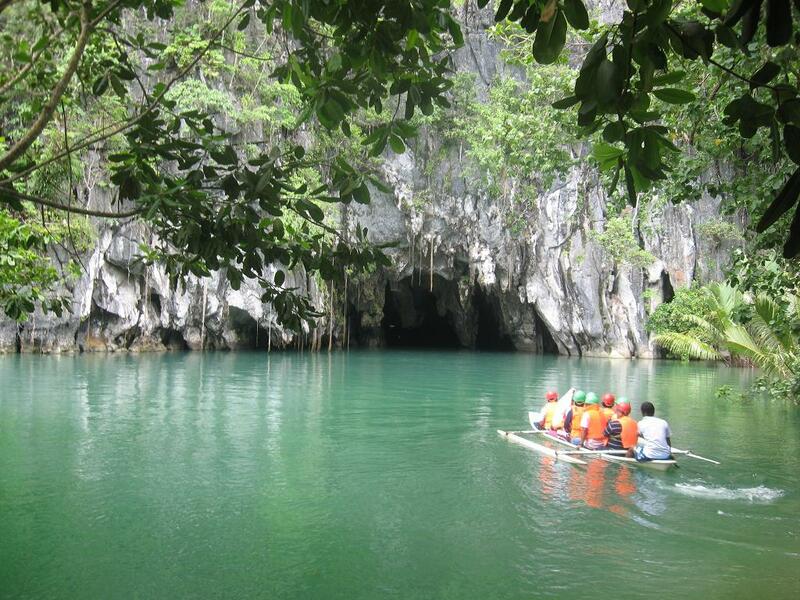 Deeper areas of the underground river are almost impossible to expedite due to oxygen deprivation. The park has a limestone karst mountain landscape. 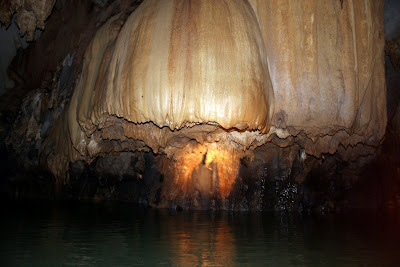 The main attraction here is St. Pauls Underground River Cave - a more than 24 km long cave, which contains an 8.2-kilometer-long underground section of Cabayugan River. 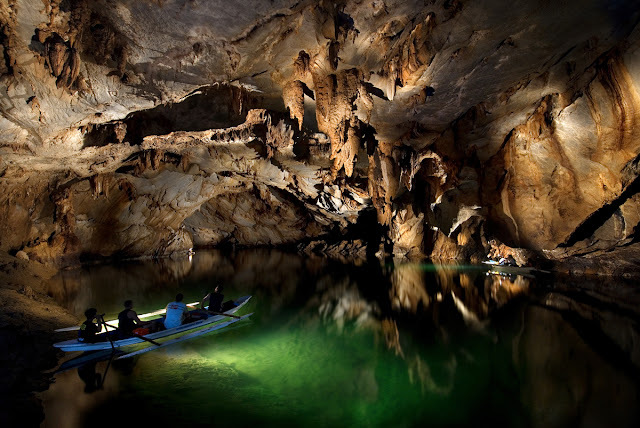 A distinguishing feature of the river is that it winds through the cave before flowing directly into the South China Sea, and is navigable with a boat up to 4 kilometres in from the sea. The cave includes major formations of stalactites and stalagmites, and several large chambers, including the 360-meter-long Italian's Chamber with approximate 2.5 million square meters volume - one of the largest cave rooms in the world. The lower portion of the river up to 6 km from the sea, is subject to tidal influences. Until the 2007 discovery of an underground river in Mexico's Yucatán Peninsula, the Puerto Princesa Subterranean River was reputed to be the world's longest underground river. The area also represents a habitat for biodiversity conservation. The site contains a full mountain-to-the-sea ecosystem and has some of the most important forests in Asia. It was inscribed by UNESCO as a World Heritage Site on December 4, 1999.